Toyota officials know they've got issues. The man in charge of the Toyota brand in the United States admits the automaker’s once rock-solid credibility has been marred, and that's leading others — including federal regulators — to keep probing for more problems. One potential issue became clear Wednesday after the automaker admitted it had received dozens of power steering complaints about its hot-selling Corolla subcompact. An official said the company would "take action" if necessary after it received more information. Questions have also swirled about possible electrical problems in the company’s vehicles. Toyota Group Vice President Bob Carter rebutted those claims, saying the electronic systems "have been thoroughly tested." Carter has been here before. Last October, when Toyota announced a recall of 3.8 million vehicles for "unintended acceleration," Carter charged that critics who insisted there were other safety issues not covered by the recall were engaging in "unwarranted speculation." Those critics turned out to be right. Since then, Toyota has announced a series of recalls for issues including braking problems and faulty accelerator pedals. So far, the recalls add up to about 8.5 million vehicles, including Toyota's flagship Prius hybrid. Carter acknowledges Toyota "made a couple of mistakes" in how it has handled the recalls and that he "shot some of my personal credibility" with his comment in October. But he promised that Toyota would step up its efforts to ferret out all of the problems. On Friday, Toyota said it plans to voluntarily disclose problems that are below the level of recall as it seeks to rebuild consumer confidence in its products. "We're trying to be proactive," said spokeswoman Ririko Takeuchi. "Some consumers are worried, so even if the information doesn't rise to the level of a recall, we are taking this step to restore the company's credibility." Toyota CEO Akio Toyoda has apologized twice so far for the recalls and the company has been flooding the airwaves and newspapers with ads vowing it would "restore your faith" in a company that had been a synonym for quality. The loss of faith has been costing Toyota more than just its reputation. Carter had to sign off last month to halting sales of eight models equipped with faulty accelerator pedals. The move has been costing the brand about 60 percent of its sales in recent weeks. And on Tuesday, Toyota announced it plans to idle production temporarily at assembly plants in Texas and Kentucky due to the recalls. It isn't clear yet how much the recalls will hurt the company financially. Initial reports show that residuals, or prices for used Toyotas, are falling and Toyota shares traded in the U.S. have dropped about 15 percent in the past few weeks as the recalls have expanded. And early surveys suggest once-loyal buyers may now be open to looking elsewhere — including Detroit — for their next set of wheels. Toyota’s safety problems may not be over. New consumer data gathered by the U.S. government showed that complaints of deaths associated with sudden acceleration in Toyota models have surged in recent weeks. The alleged death toll may have reached 34 since 2000, the data show. And with the public, media and regulators sensitive to potential issues, it seems like every new report generates headlines, even some that observers call dubious, like claims of “unintended veering” with some Toyota models. Carter says the company is taking a closer look at customer complaints involving the Prius, the world’s best-selling hybrid. After initially downplaying reports that the sedan’s brakes could inadvertently release after hitting a bump or icy patch, Toyota acknowledged it had quietly implemented a fix on its assembly lines. Then, last Tuesday, it decided to recall 440,000 of the hybrids, worldwide. That recall involves only the 2010 model, which suffer from “overly aggressive ABS” brakes, said Carter. Federal regulators are suddenly being inundated with complaints involving older Priuses, primarily second-generation models, sold from the 2005 through 2009 model years. “That’s a head-scratcher,” said Carter. He noted that through the end of January, there were just 104 clearly identifiable complaints in government files describing brake behavior problems similar to those plaguing the 2010 Prius. But since word emerged that a Prius recall was likely, the number of complaints filed with the National Highway Traffic Safety Administration has increased dramatically, with at least 356 new reports as of Feb. 10. “There’s nothing we can find,” so far, Carter said. But he promised that the automaker will step up its efforts to find what is causing so much concern. What’s unclear is whether that could lead the maker to expand the recall of its halo product if it turns up a second braking problem. The automaker has clearly lost a significant number of sales in recent weeks. The eight models involved in the stop-sale normally account for about 4,000 sales daily, the equivalent of more than $100 million in revenue. Carter suggested that sales of models not covered by the accelerator pedal recall are holding up, though some industry observers question that assertion. An accurate picture likely won’t emerge until February sales data are released in early March. 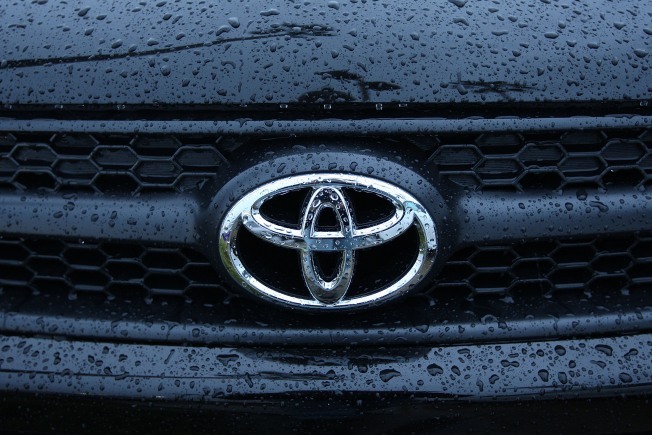 Meanwhile, Kelley Blue Book and other arbiters of pricing have reported a sharp drop — as much as 5 percent, according to some — in the residual price of Toyota products. That’s a significant issue considering high resale values have repeatedly been shown to be a strong motivator for Toyota buyers. There’s little doubt that Toyota will go through a number of changes as a result of its continuing problems. Among other things, it will need to find ways to isolate and respond to potential problems quicker than before.